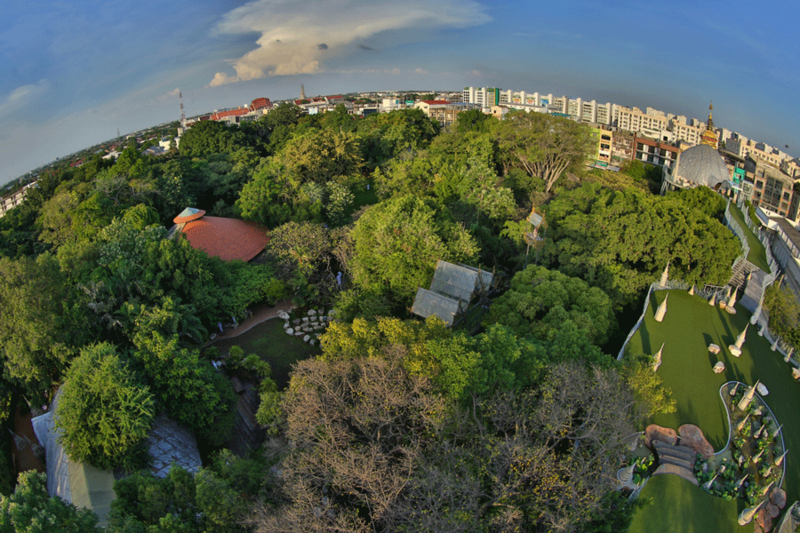 Sathira-Dhammasthan, founded in 1987, is a learning community for peace and harmony, providing a variety of programs for people of all ages, genders, and walks of life. 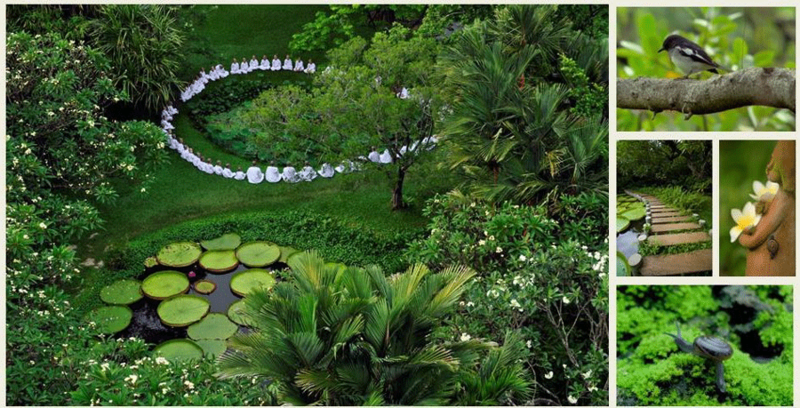 It is set in nine acres of trees, with lotus ponds, winding paths and meditative nooks. It is a tiny drop of water, radiating peace and serenity amidst the busy and bustling city of Bangkok, the capital city of Thailand. Sathira-Dhammasthan is offered as a second home to all, and has become a center for the community to learn to practice living together in harmony and with compassion, to learn to gracefully and joyfully accept the performance of one’s duty to self, family and the community at large with care, sharing and respect as the main principles. 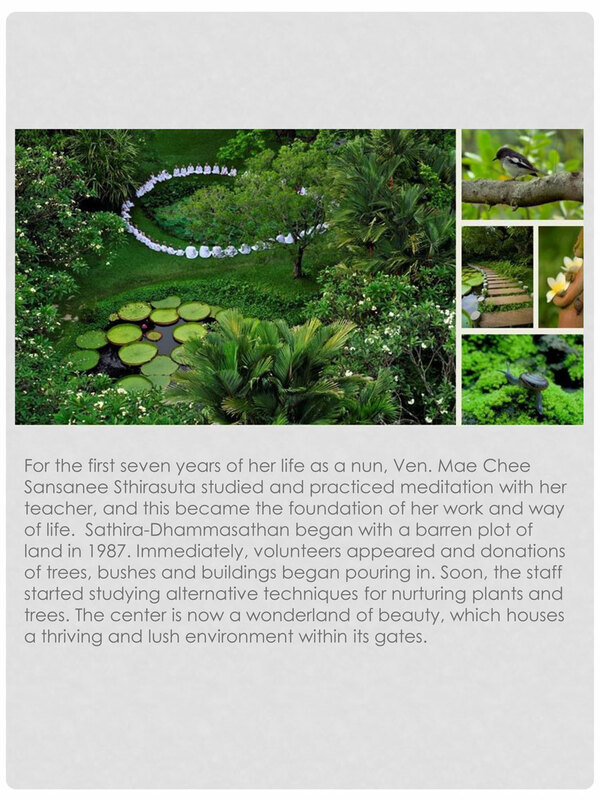 Sathira-Dhammasthan focuses on the “Art of Life” and encourages all kinds of art as both an inner and outer practice and expression of life itself. 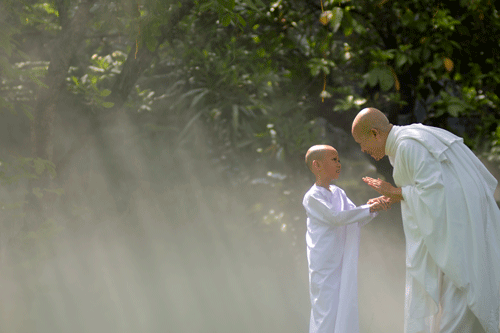 It is a community where Dhamma becomes the basis and driving force for spiritual development, ensuring that each and every one lives a life that harms neither self nor humanity, be it by words, deeds or harmful thoughts. Ven. 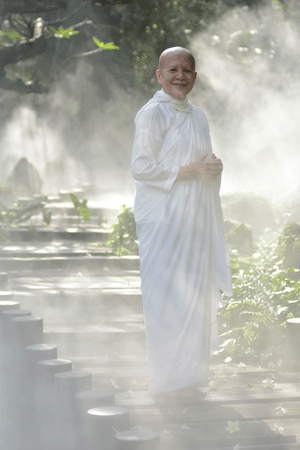 Mae Chee Sansanee Sthirasuta is a Buddhist nun and the founder of Sathira-Dhammasathan, in Bangkok. The Center, under Ven. 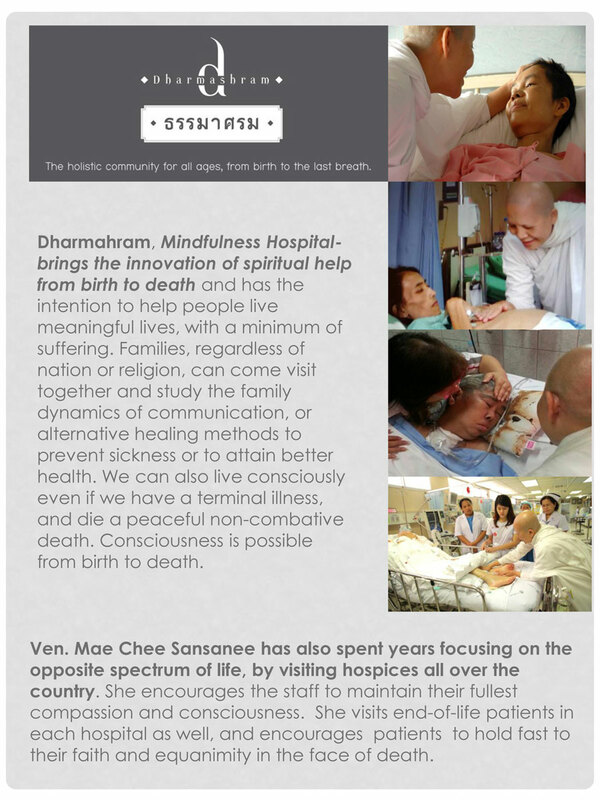 Mae Chee Sansanee leadership, believes that Dhamma is sacred, when it can be applied in the normal way of living. 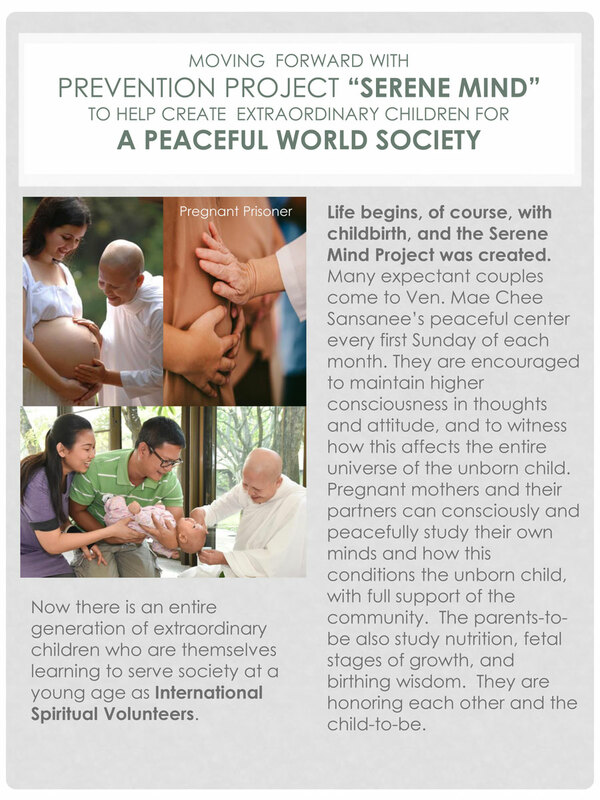 We also believe that every human being has the potential to live a life that is free from suffering. We believe that people can be different and that difference should be respected and accepted. In all her work, Ven. 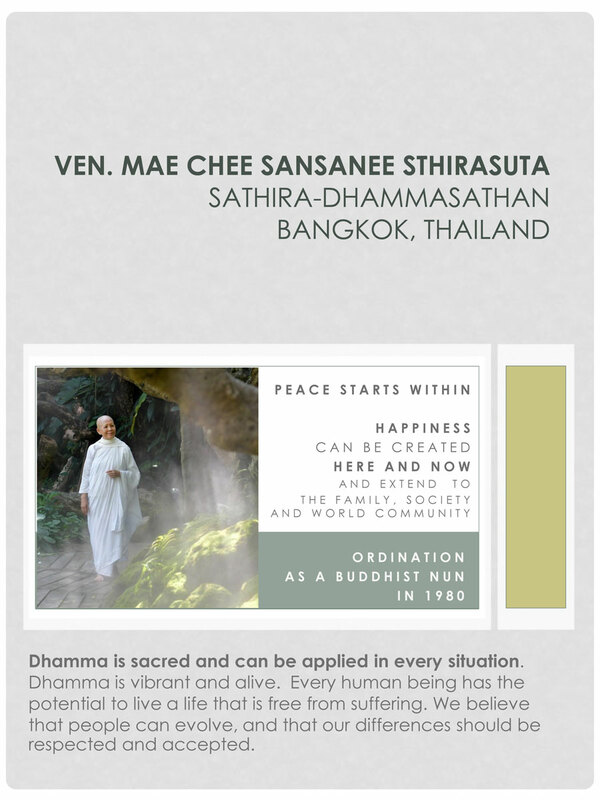 Mae Chee Sansanee uses Dhamma to bring peace, harmony, respect, and an open heart, without discrimination or bias, into the chaotic world of high-power meetings. 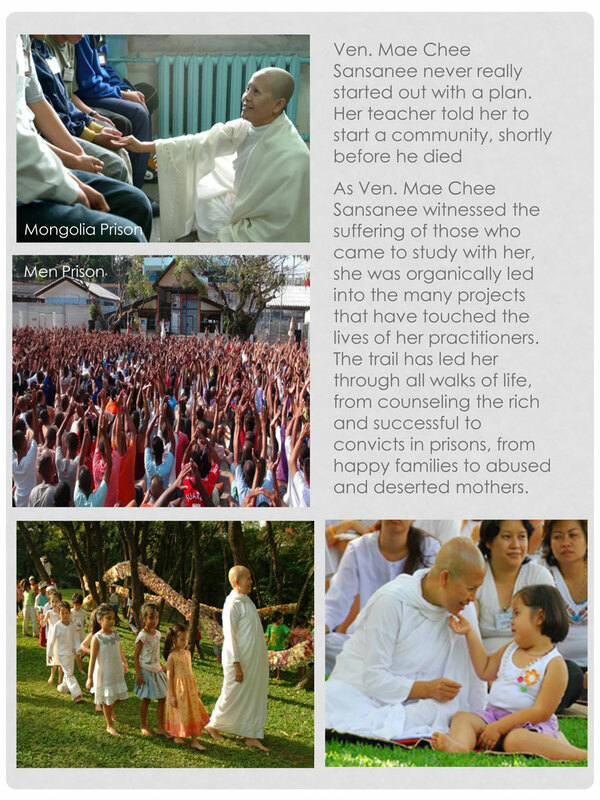 Naturally, her compassion, her teachings and her projects caught the attention of organizations in other countries and she has been frequently invited to attend well- known and widely accepted summits in several countries, as the country’s representative of nuns, Buddhist ordained women. Whenever and wherever Ven. 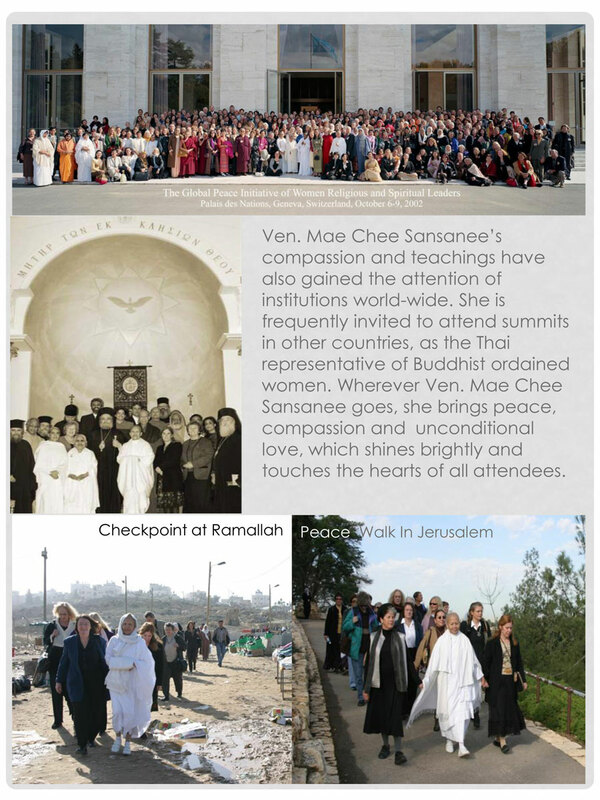 Mae Chee Sansanee goes, she brings with her peace, compassion, and her unconditional love, which shines brightly and touches the hearts of other attendees. 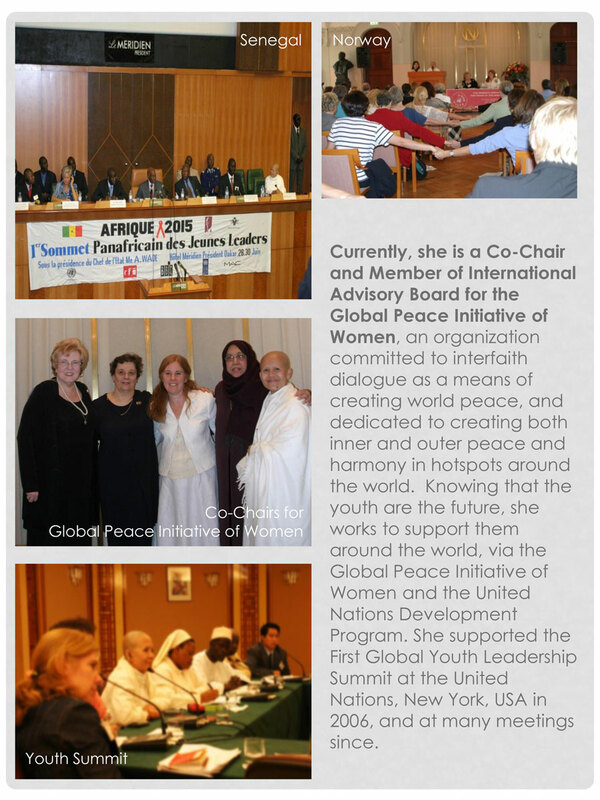 Over 10 years, she is Co-Chair for the Global Peace Initiative of Women, an organization committed to engaging in inter-faith dialogue as a means of creating world peace, and dedicated to creating both inner and outer peace and harmony in "hot-spots" around the world. As a message of motherhood, she works to support youth around the world, and as a co-worker with the Global Peace Initiative of Women and the UNDP, worked for the First Global Youth Leadership Summit at the United Nations, New York, USA in 2006.